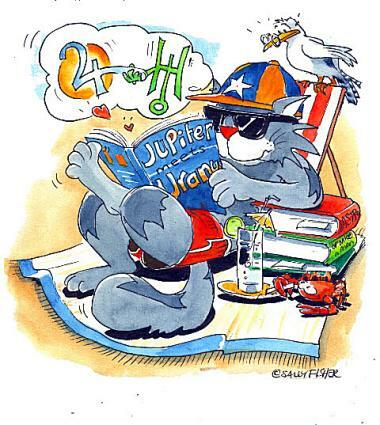 Waiting for Jupiter/Uranus 3 as the old year wanes…. The third and final conjunction of Jupiter and Uranus – at 27 Pisces – takes place on the 4th January 2011. On 22.1.11 , Jupiter re-enters Aries, with Uranus re-entering Aries on 13.3.11. From an applying orb of 10 degrees in March 2010, to the separating orb of 10 degrees in mid March 2011 when Uranus will be at 0 deg Aries and Jupiter 10 deg Aries, it will have been some year, both for our world and for individuals ‘plugged-in’ to the conjunction’s 27 Pisces – 0 Aries “Hot spot”! Check out the link below to read my brief post setting the scene for the next phase of the exploration of “Tales from the Wild Ride” which follows the lives of ten brave volunteers throughout an unforgettable year. How was it for you, in 2010 dominated by this uniquely disruptive planetary duo and the attendant Grand Cross Of Jupiter/Uranus, Saturn and Pluto? How are things right now? All of today, I have been grabbed by a manic fit of energy (yes, I am also ‘plugged in’ to the Hot Spot!) which has seen me completely reorganise the layout of this site into what is a much more accessible form. Scroll down the Home Page on the left, and I hope you will agree. Enjoy your browse! And a Happy New Year! Jupiter Meets Uranus: next up, 4th January 2011…. ps. I am still hoping that that Purple Person from Planet Zog will appear before the Spring….